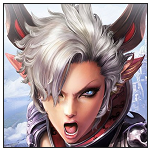 Our compilation of games like TERA features plenty of other great 3D MMORPGs with strong gameplay and fantasy themes. TERA (The Exile Realm of Arborea) has transitioned from a paid game on release (2011 in Korea) to a free to play one which has seen it grow rapidly with its high level of quality and strong real time combat. This combat is the main attraction to the game with a style of play that does not use targeting for attacks. Instead players will have to aim and dodge attacks with their cross hair and careful positioning. It’s definitely a unique style of gameplay that few games in the MMO space are matching. Rounding out the whole experience is a large selection of races and classes to let you customise your character in a way that works for you. Each class has a well-balanced collection of skills to utilise and their own strategies to explore. There is also enough depth in classes that each class has several optimal strategies rather than one like most games in this genre. The games like TERA on this page focus on including games with a similar combat system to that of TERA. As this is only a small number of games you’ll also find some of the top standard MMORPGs on this page.